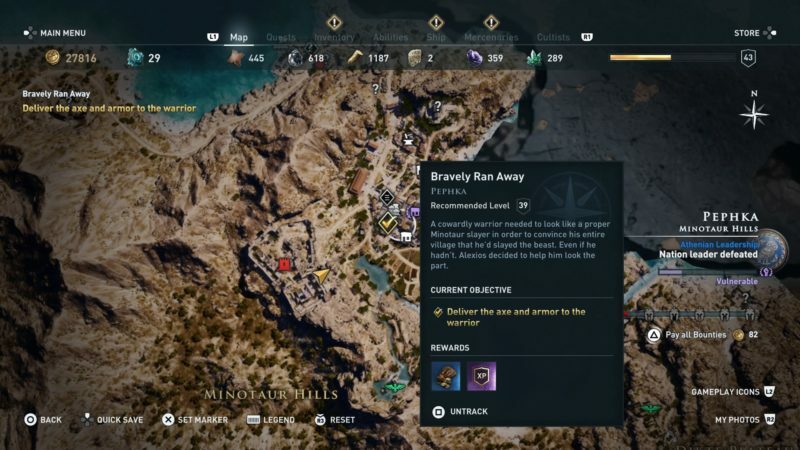 Bravely Ran Away is a side quest in Assassin’s Creed Odyssey which begins in Pephka. Your task is to help a man from killing himself by making him look good. 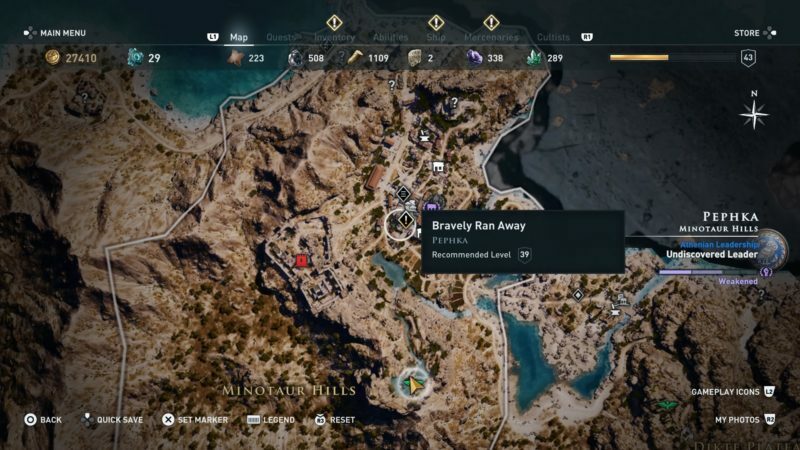 Here’s a walkthrough of Bravely Ran Away in AC Odyssey. 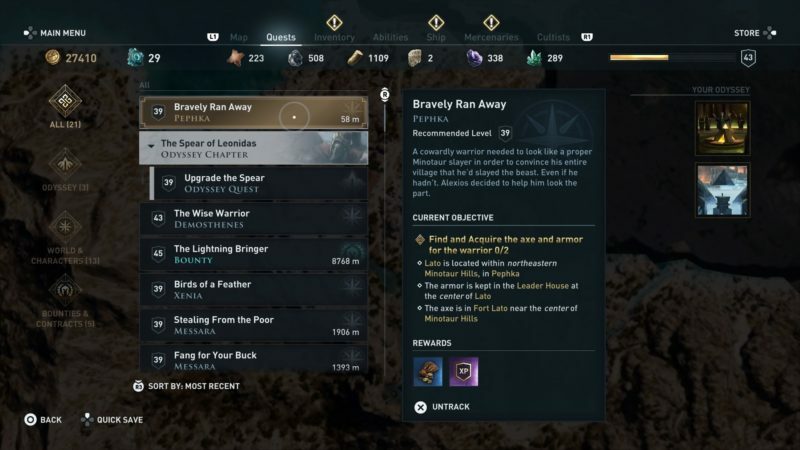 This quest is recommended for those level 39 and above, but it may differ according to your own level. 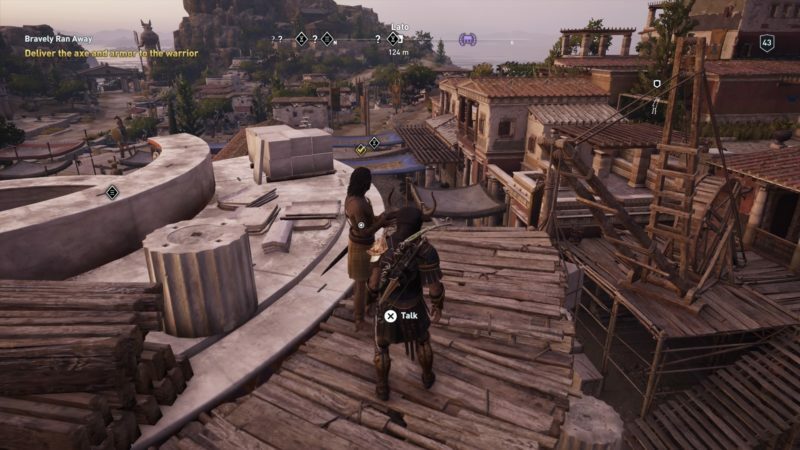 To begin this quest, get to Minotaur Hills in Pephka. Talk to the man standing on top of a building. 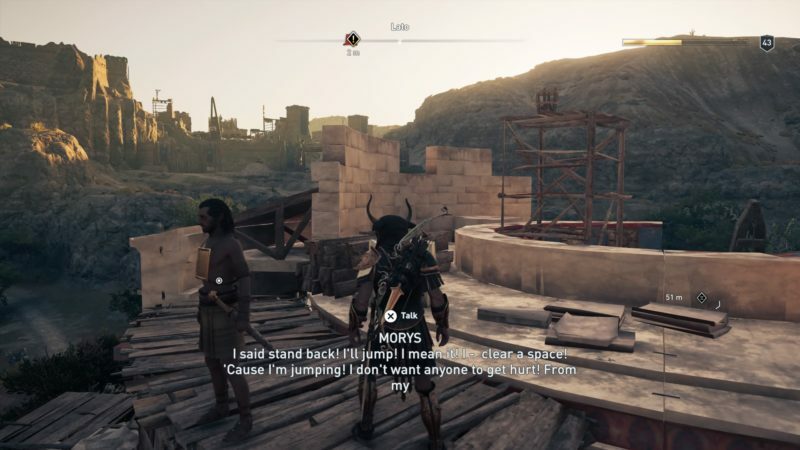 You should see a big crowd asking him to jump. His exact location is shown in the map below. This part is mainly conversational. 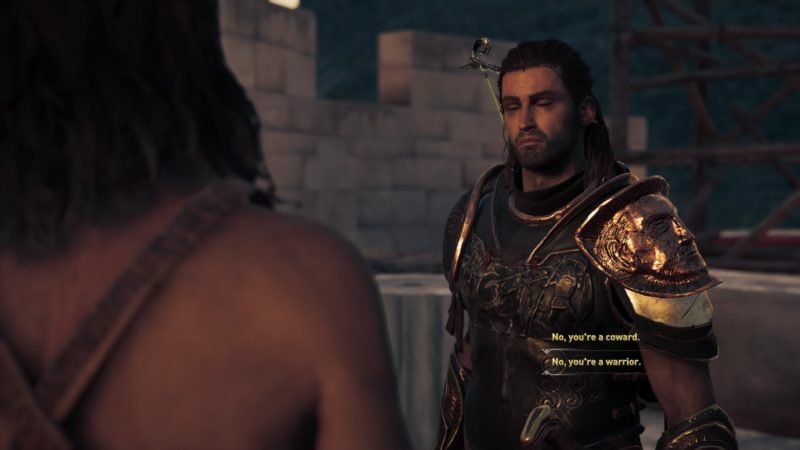 If you agree to make him look good by stealing some shiny armor and axe, read on. 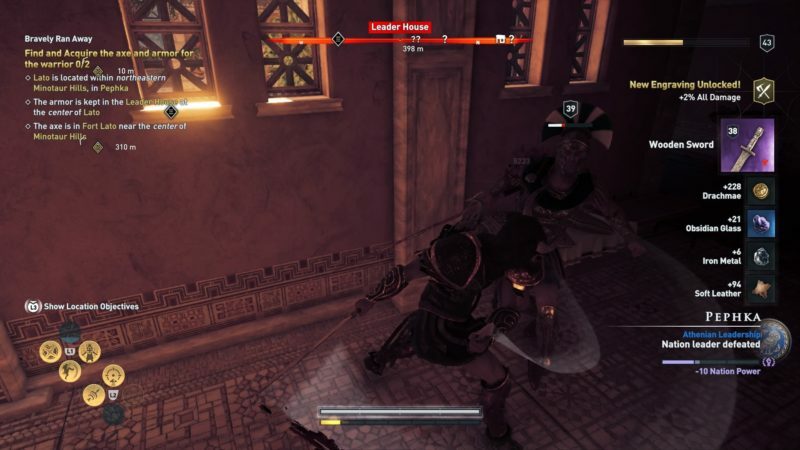 You will be given two locations to steal the axe and the armor. 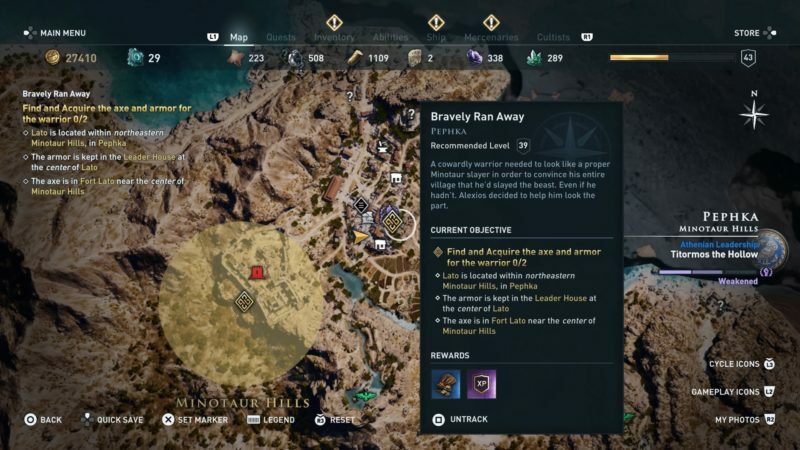 For the armor, the location is the one on the right side, marked as the quest symbol. 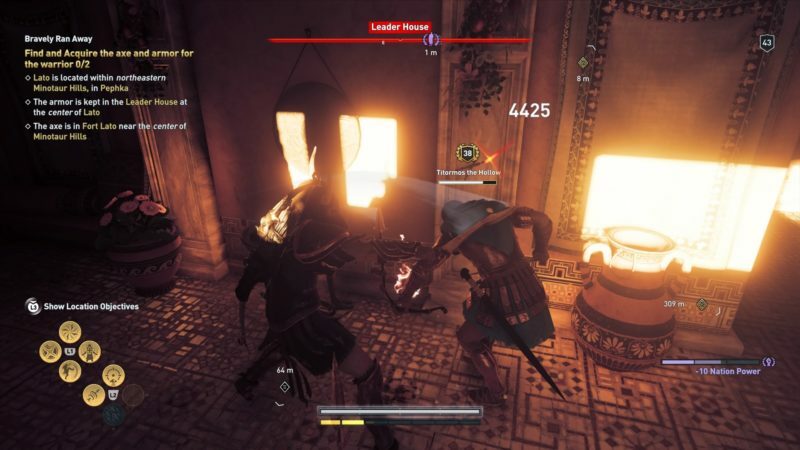 It’s actually inside a Leader House. 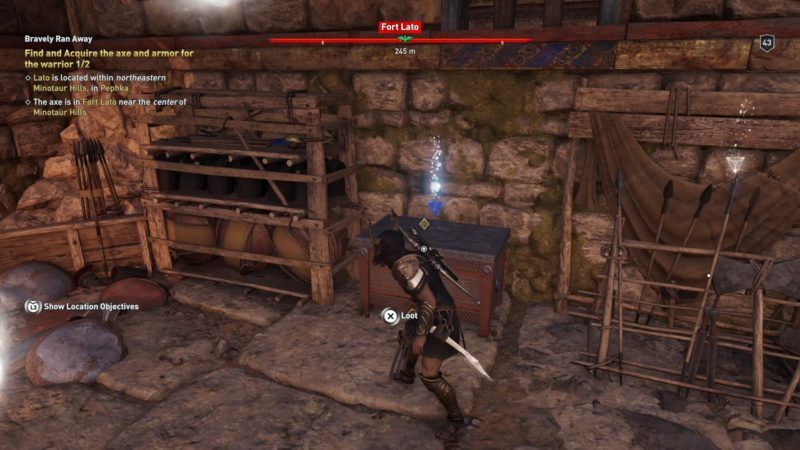 You can kill all of the guards inside and loot some cool equipment like this wooden sword. Once you’re done, get to the treasure chest inside the house. 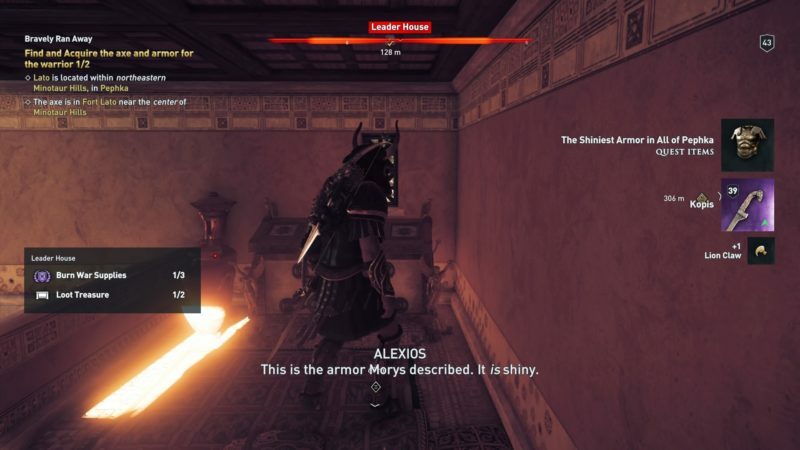 Loot it to obtain “The Shiniest Armor in All of Pephka”. 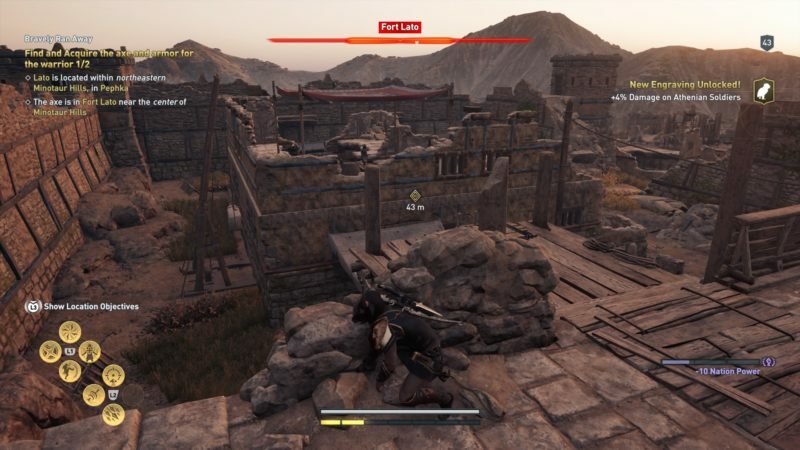 Once you have the armor, get the axe in Fort Lato. 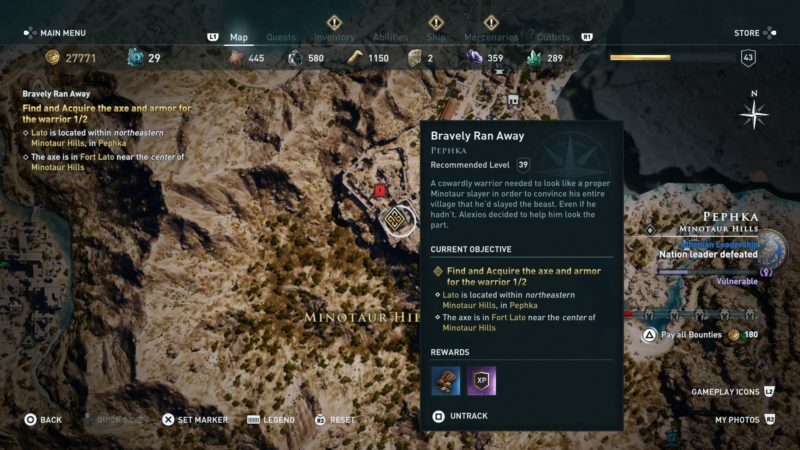 The exact location is shown in the map below. This place is also highly guarded and you will easily be spotted here. The axe is inside this treasure chest. 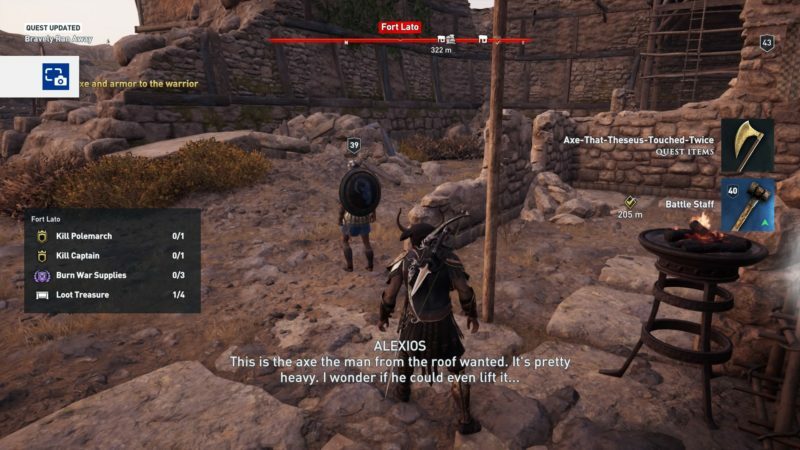 Loot it and you will get the “Axe-That-Theseus-Touched-Twice” plus a Battle Staff. Now all you have to do is to deliver the two items to the man. Get back to the man who is standing on top of the building. His exact location is shown below. Talk to him and the quest completes here. 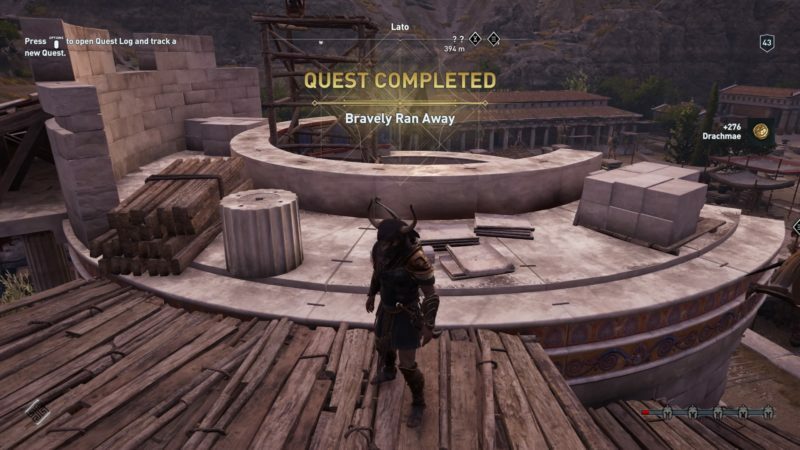 You will earn some drachmae for completing this quest.